AND provides worldwide digital maps and location-based services. The company focuses on adding location intelligence to improve business processes through the AND LBS Platform, proprietary digital maps and big geo data. Founded in 1984, AND is one of the Netherlands' longest established software groups, currently employing 85 people in the Netherlands and India. AND's head office is located in Rotterdam. AND offers a road database that connects more than 200 countries in the world, including fully attributed navigation maps of Western Europe. Research And Production Center "Priroda"
Multispectral is the first digital map company in Brazil, and has been leader of map coverage and updating through its 25 years of history, supplying geo-information and geo-technology for more than 1,000 companies. It's also the leader in webmap services for tracking fleets and freights, supplying more than 50% of Brazil's market, including the greatest players along more than 15 years. 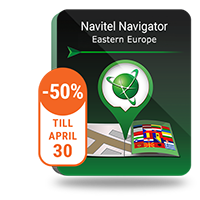 Multispectral is the only company to release monthly updates of Brazil map for GPS navigation, since 2008, and is the partner of NAVITEL® in production of navigation maps in Brazil since 2014.